This report profiles the major results of the project TEIP Effects: Evaluation of educational and social impacts in seven educational territories for priority intervention. 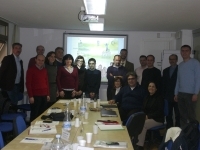 This is a study requested by the Directorate - General for Innovation and Curriculum Development aimed at analysing the impacts in seven school clusters of integrating the second phase of Educational Territories of Priority Intervention (TEIP2) program, developed by Portugal to support educational development in disadvantaged or marginalized social territories. It was intended to identify critical factors for success or failure of projects and analyze the degree of acceptance and involvement of local actors in educational programs established under the TEIP action program. The report concludes that integration of schools in the TEIP action program has contributed to the stabilization and improvement of school organizations involved, collecting very positive perceptions by teachers and families, as well as registering progress in the field of educational inclusion, social cohesion and educational success. These positive outcomes have been supported, according to the authors, by the creation of teams and support spaces, guidance and monitoring of students, involving teachers and technicians, but also by the development of more structured diversified and integrated forms of work organization. In these school clusters, the education services were extended and oriented towards specific target goals of fighting school dropout and promoting success, with positive results both in the pacification of social relations and in improving learning. The intensity of this progress is very variable, higher in clear and socially cohesive territories, in innovative clusters open to the community, in spaces of recognized and dynamic leaders or in pre-existing local and national partnerships. As expected, these results are enhanced by some pre-existing features in some groups but not others: strong and dynamic leadership, consistent educational project, consolidated partnerships, innovative culture, and identity. In cases where these elements did not previously exist, the study clearly showed that TEIP contributed to foster progresses, although advances in pursuing the objectives of the project were noticeably slower. Taking into account the observed results, the findings of the report highlight a number of critical success factors, as well as a set of strategic recommendations for the improvement of educational policies in depressed areas. COMMENTS ON THIS PUBLICATION	The report is a major contribution to one of the most important programs to fight school failure and dropout developed in Portugal. Its great value as a very useful document on understanding the school dropout phenomenon depends on its broader view over the whole process of implementation of TEIP. It also essentially assesses the added value of the TEIP program in schools, the critical success factors which led to observable changes, the organizational and pedagogical processes that schools have put into action under TEIP projects, the perceptions of the various actors involved in local projects, as well as the impact on equity and equality of educational opportunities. Its major limitation is inextricably linked to the case study methodology that was adopted and, therefore, does not allow generalizing the findings in this research on a public intervention program in the Portuguese education sector.